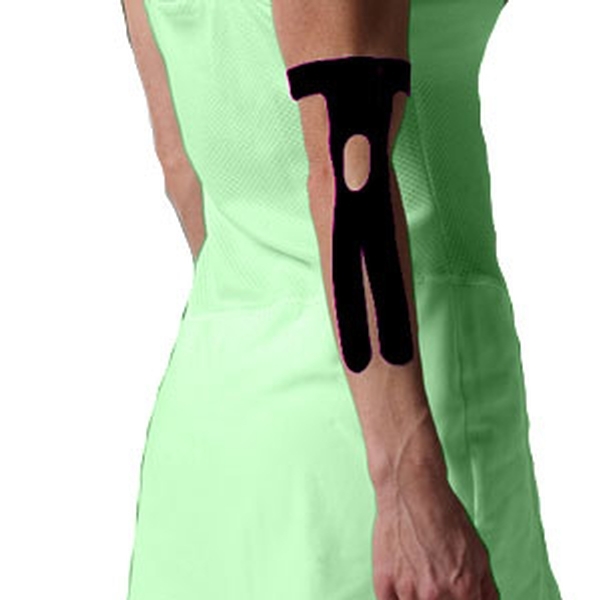 Easy-to-use pre-cut kinesiology tape applications designed specifically for the elbow. No more cutting. No more designing. Uniform application every time. Applying kinesiology tape is a whole lot easier with SpiderTech® pre-cut applications, or “Spiders.” Specifically designed for individual body parts, they feature a one-piece construction and deliver the quickest, most consistent application of any kinesiology tape. The Elbow Spider offers dynamic therapeutic support for the muscles supporting the elbow and forearm without limiting motion. It relieves minor pain, improves performance, reduces pressure at painful areas and helps prevent further injury. 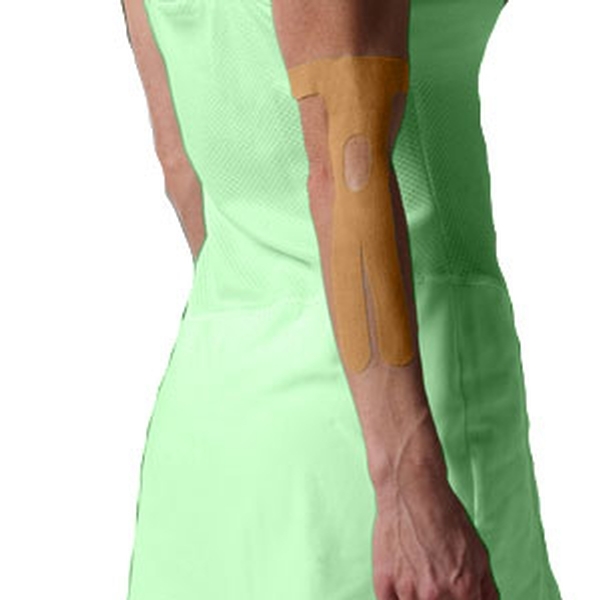 SpiderTech is an elastic therapeutic tape made of high-grade cotton with 100% acrylic, hypoallergenic adhesive. It mimics the thickness, weight and elasticity of the human skin. It’s water-resistant, breathable and may be worn for up to five days. One application per package. Latex-free.